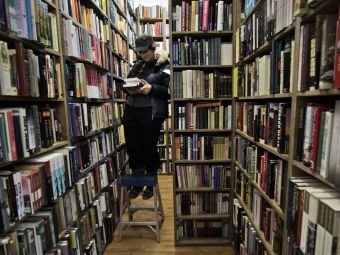 Technology has turned the book publishing world on its head. The ease with which books can be printed and changes in how they’re marketed has been a boon for the growing number of small, independent publishers. It’s also made it possible for writers to self-publish. We talk with author Tim Brookes of the Champlain College Publishing Initiative and Steve Carlson, publisher and outgoing president of Independent Publishers Of New England about how changes in the world of publishing are affecting the states 200+ independent publishers and the opportunities and challenges facing prospective authors. Post your questions or comments below or email vermontedition@vpr.net. and what it means to write about "the male experience."